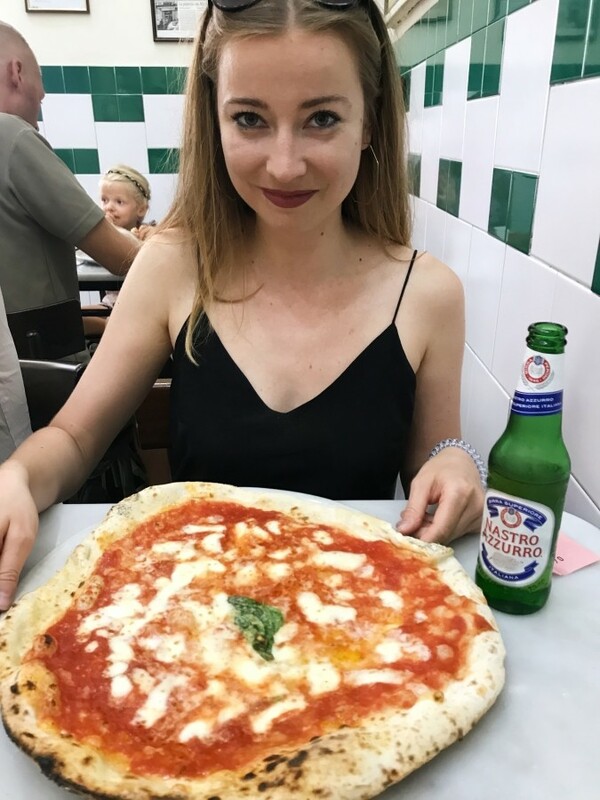 In May, I decided to visit a motherland of a one true and original Neapolitan pizza. 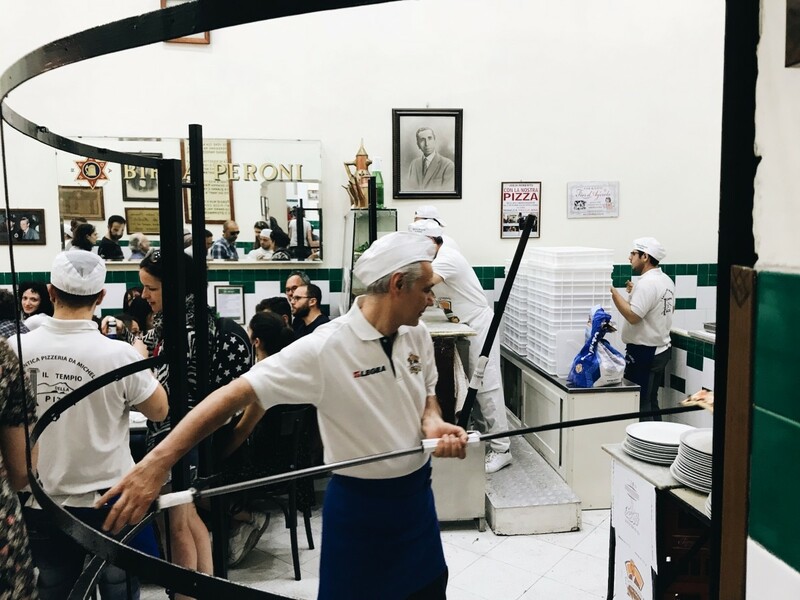 In a second, I will present you the best pizzerias in Naples, and in the next article you will find a short description of my meeting with Gino Sorbillo – worlds champion of pizza making. 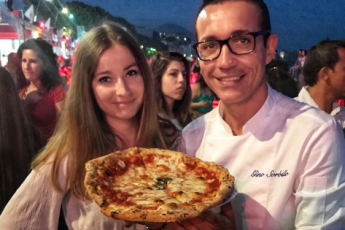 Moreover, I will describe what I’ve experienced at the most beautiful event – Pizza Festival. 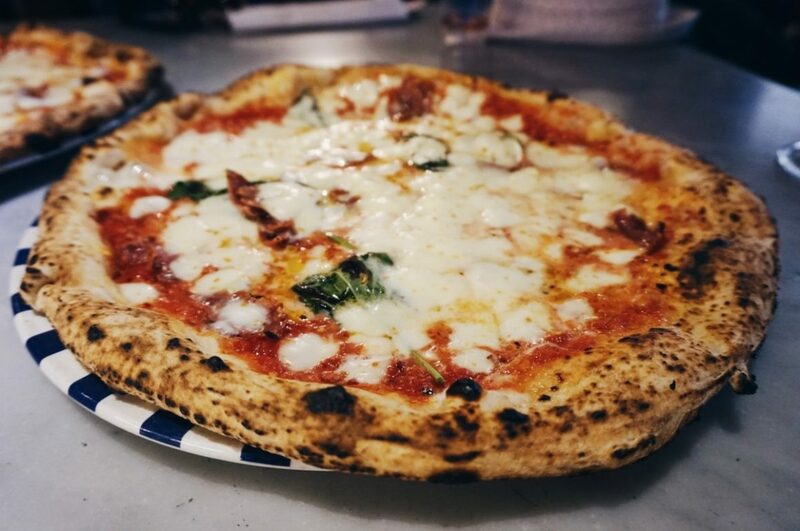 Before you start reading, check how to recognize the true Neapolitan pizza! I might be not cutting-edge but the best pizza in Naples is found in L’antica Pizzeria Da Michele and in Gino e Toto Sorbillo. These are two the most iconic places that can not be missed while visiting Naples. 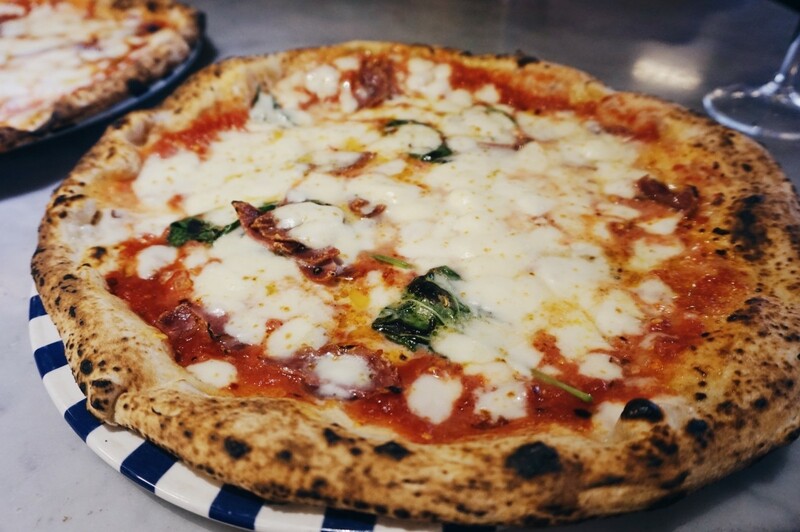 No matter if you fancy neapolitan pizza or not, eating in one of this given pizzerias should become a priority on your own Bucket List (“what to do” list before you die). My dear readers, these are not ordinary pizzas. These are ultimate works of art, that were prepared with a heart and a soul. 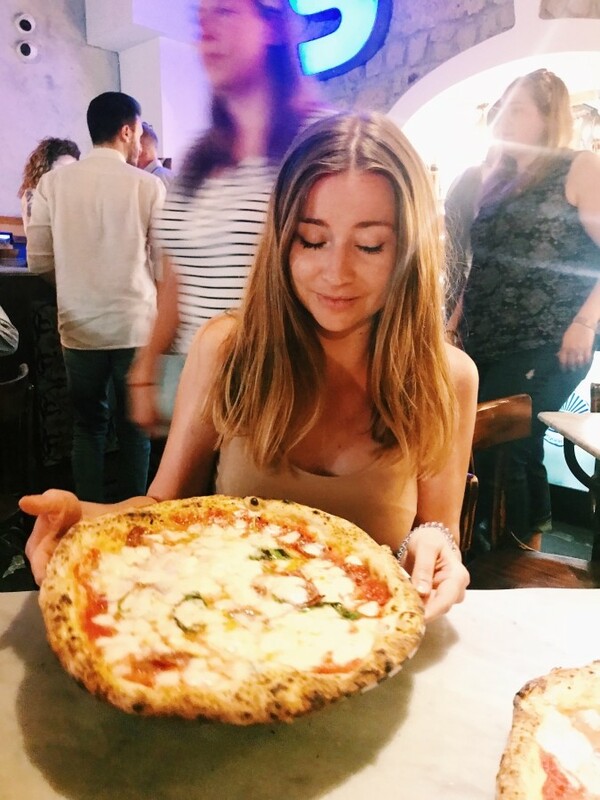 Community of Naples treats pizza seriously, cultivating her on every single step. However, before you try the best pizzas in the world, you have to find your patience. Well, to be honest, a lot of patience, in fact. 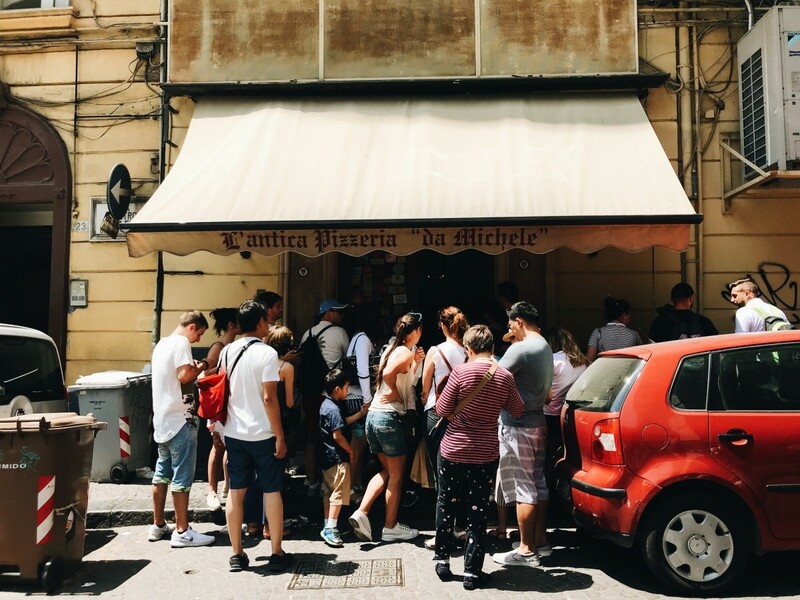 Getting a table in both Gino Sorbillo and L’atinca Pizzeria da Michele requires staying in a massive queues, usually for approximately 40 minutes. And it doesn’t matter if you go there in the summer or winter – this sanctuary of pizza is always full. Do you know “Eat, pray, love” movie? So Sofie and I have come to Pizzeria da Michele, and these pies we have just ordered — one for each of us — are making us lose our minds. I love my pizza so much, in fact, that I have come to believe in my delerium that my pizza might actually love me, in return. I am having a relationship with this pizza, almost an affair. This infamous movie scene with Julia Roberts is enjoying her Neapolitan pizza and admits her everlasting relationship with it, was filmed… in L’antica Pizzeria da Michele! (click to see the short video). Considering the fact that I was spending only one day in Naples, I had to tighten my daily pizza-eating schedule. As a result, I went to L’antica at 11 a.m. – a perfect time for my breakfast pizza. Come on, just tell me, is there a better place to do it in Naples? To be honest, I thought I was being quite cunning by arriving here so early, but after I got there, I’ve noticed quite a lot of people waiting for a table… Luckily, it was nothing comparing to evening queues. We were waiting for our table for about 20-30 minutes. What you have to know when going there is choosiness is not a good idea, as usually you have to sit at first empty seat. It means that sometimes you have to share place with some foreign people. That’s what happened to us – we were seated with a very nice, aussie couple that travels the world for nearly a year. They came here straight from the airport, carrying their bags with them. L’antica Pizzeria Da Michele brings you positive vibes only. And what is more, I’ve never seen a place that serves well so many hungry #pizzalovers a day. I deeply believe it is due to a very good organisation and cooperation! What’s interesting is that in L’antica you may observe the whole process of pizza making and, believe me or not, those pizzaioli know how to work in team. And despite the tempo and massive amounts of orders, the only feeling you might sense in this place is relaxation and happiness. Pizza is heavenly impressive. Thin centre and aromatic ingredients are what makes those pies perfection. Eating such a pizza can help you forget all of your problems and dark thoughts. L’antica’s pizzera is the best therapy you might imagine, making your mind only pizza focused. 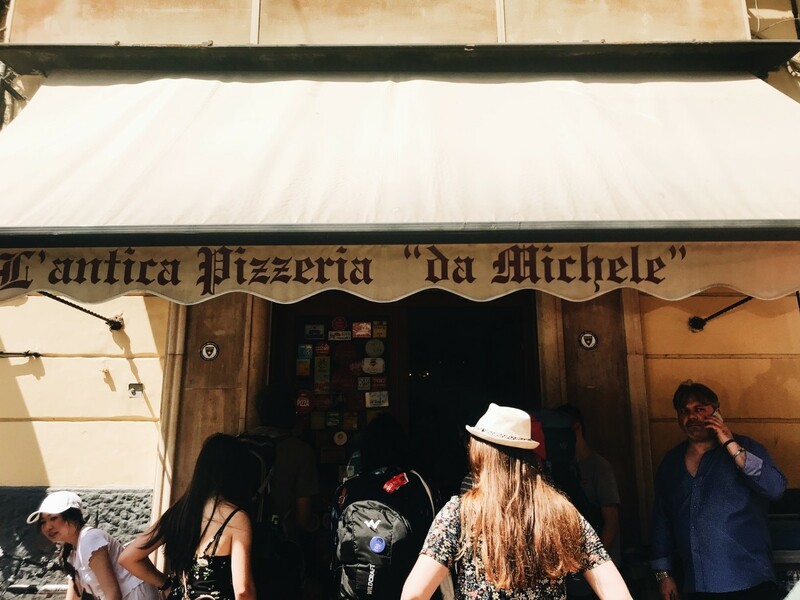 My dear readers, and please remember to appreciate places with history – L’Antica Pizzeria da Michele was established in 1870. Pizzeria is located on Via Cesare Sersale 1, so about 10 minutes walk from Piazza Garibaldi and underground station. There is no possibility to book a table there. Owners of L’antica Pizzeria da Michele share very traditional approach and that’s why you will not find extravagant dishes there. 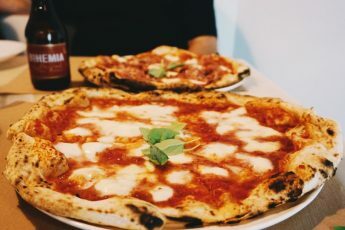 They are focused on timeless classics, such as Margherita (Standard: 4 Euro, Medium-sized: 4.50 Euro, Double Mozzarella: 5 Euro) and Marinara (Standard: 4 Euro, Medium-sized: 4.50 Euro, Maxi: 5 Euro). Drinks such as Coke, Fanta, water or beer you will buy for 2 Euro. My first adventure with Gino Sorbillo’s pizza was one year ago. However, I didn’t have much time then and wanting to avoid huge queues I ordered take-away one. 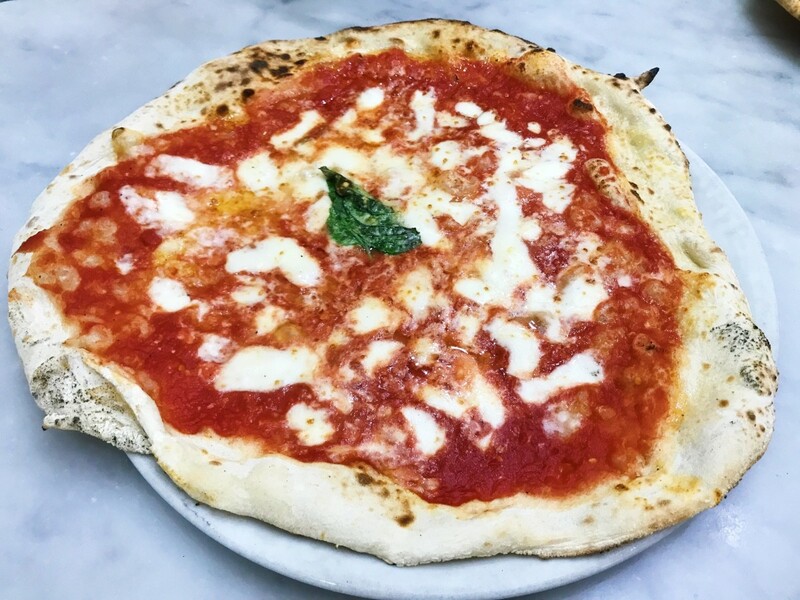 I remember how fascinated I was – never have eaten such a huge neapolitan pizza before, which was brought to such a perfection – thin centre, so aromatic tomato sauce and this creamy mozzarella. 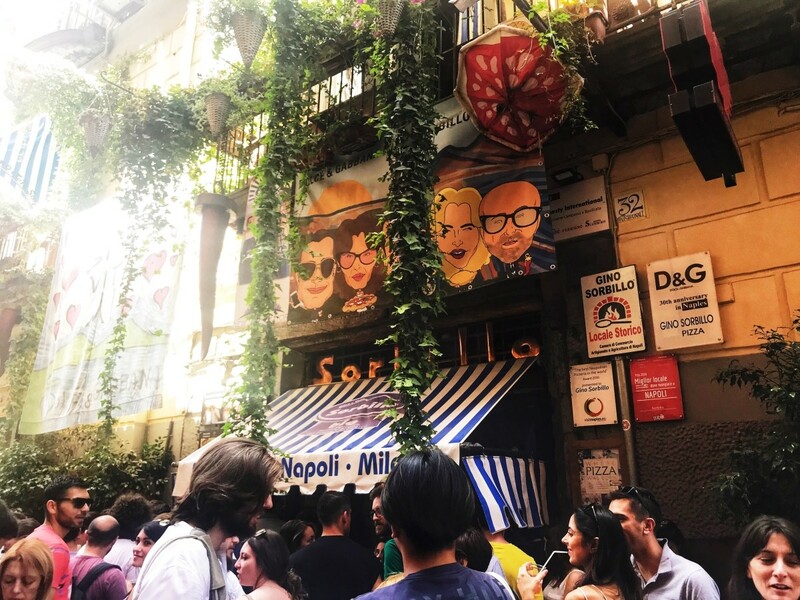 This moment – eating pizza in the middle of one of this magical alleys of Naples will stay in my mind forever. Inside Gino Sorbillo’s Pizzeria there is quite different than in L’antica Pizzeria da Michele. It’s definitely more intimate and mysterious, full of dimmed lights, separate tables and very professional, kind waiters. As you already know, I am a huge salami pizza lover, so I decided to go wild and order Diavola, which was… simply delicious! To be honest, you don’t need any other additional ingredients there – THIS dough, THIS tomato sauce, THIS mozzarella and such an aromatic basil are everything you need. If heaven truly exists, for sure you’ll be eating Gino e Toto Sorbillo’s pizza there. However, if you are in the mood for experiments, unlike in L’Antica Pizzeria da Michele, at Sorbillo’s you’ll find a whole variety of interesting, extravagant pies. What’s interesting, it didn’t happen for no reason! The grand grandparents of Gino Sorbillo had… 21 children! And do you know what’s funny? All of them became #pizzaioli. All of the pies in menu are named after them. For sure, everyone can find something that will satisfy his needs there (however, I strongly recommend to try out Margherita first!). 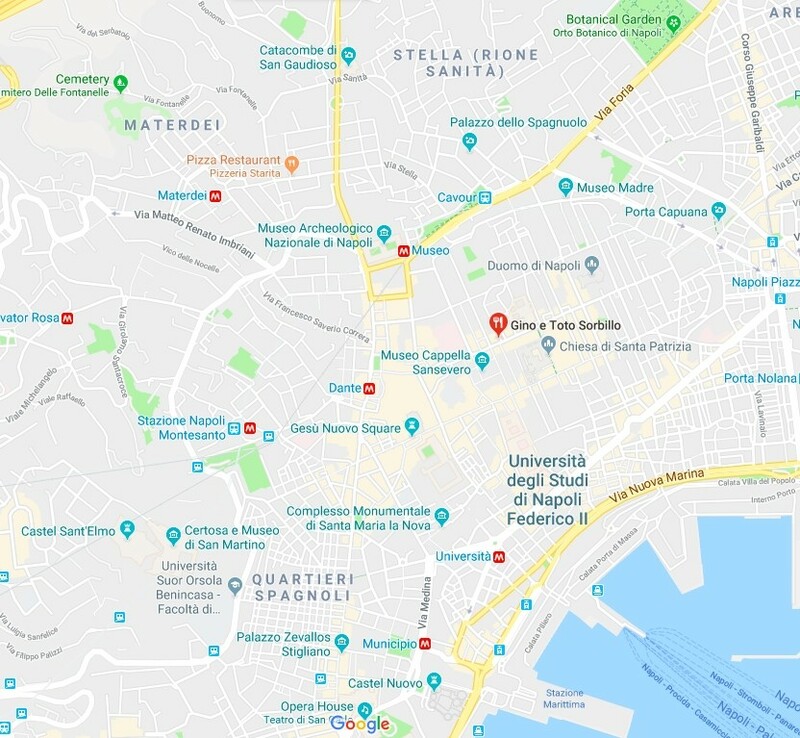 Pizzeria is located in the city centre – on the Via Dei Tribunali 32, about 10 minutes walk from Dante underground station. Pricing is quite wide and depends on ingredients you chose (Margherita: 3.80 Euro, Diavola: 5 Euro and the most expensive one: 8 Euro). When it comes to non-alcoholic drinks, you can buy the for 2 Euro, and a glass of vine or a bottled beer costs 3 Euro. P.S. I didn’t make it to try one of the Neapolitan speciality – Pizza Fritta (fried pizza with top quality ingredients). You might try it in all Gino Sorbillo’s pizzerias – Antica Pizza Fritta da Zia Esterina Sorbillo. Gino opened it for his beloved auntie, who showed him the love and passion for pizza. Moreover, I’ve heard that it is worth going to 50 Kalò and Trattoria da Nennella. Well, I think I have to start looking for another flight to Naples! 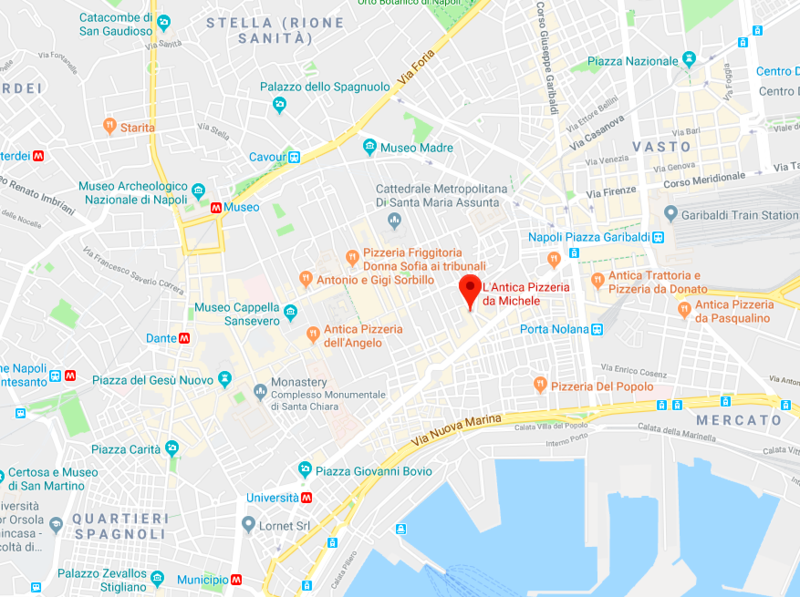 Did you try pizza in Naples? 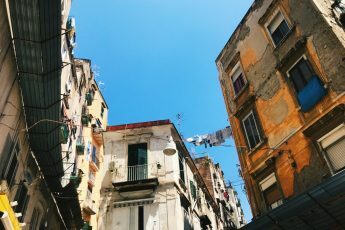 Here is my short article about Naples and some tourist attractions there. Soon I’ll post how I’ve met Gino Sorbillo and how Pizza Festival looks like! If you liked my article, comment and share it! FOLLOW MY FULL OF PIZZA INSTAGRAM ACCOUNT!